NAIROBI , Feb 19 2013 (IPS) - With Kenyans set to go to the polls in just over two weeks, on Mar. 4, civil society has been closely monitoring the media’s coverage of the political campaigns in this East African nation – and they have found them wanting. According to some political activists, the Kenyan media have been magnifying political conflict and hate speech in their reporting in ways reminiscent the disputed 2007 presidential election that ended in riots and politically motivated ethnic disputes, leaving around 1,200 people dead and displacing 600,000. “When a politician attacks another politician verbally, and it becomes headline news, there will be counter verbal attacks – just as was the case in the last general elections,” Dinah Mukami, a human rights advocate and political activist consulting for local lobby group Bunge la Wananchi, told IPS. Talking to IPS, Peter Otondo, a political analyst, agreed that that the media overall had been highly polarised during the 2007 general elections. Prime Minister Raila Odinga accused the press of contributing to popular rhetoric that turned 41 out of the country’s 42 ethnic groups against one, the Kikuyu, significantly fanning tensions and violence at the time. In a case in point, radio broadcast journalist Joshua Sang is currently awaiting trial at the International Criminal Court (ICC), where he’s accused of crimes against humanity, for having used his broadcasts to spread hate speech, including calls to displace members of particular ethnic groups and incitement of violence. Father Gabriel Dolan, a columnist with the Saturday Nation, and a prominent human rights activist here, told IPS that he takes issue with media houses that continued to publish columnists who are known to work for politicians. “The public doesn’t know that these so-called experts are consultants for politicians and tend to take their insights as gospel truth. “If a writer is part of a campaign team, it is wrong for them to use the media to advance positions that favour the politicians they are beholden to,” he said. “Journalists are receiving stipends from politicians in order to cover them favourably and to malign their opponents,” Oloo Janak, a media analyst and chairman of the Kenya Correspondents Association, told IPS. Some politicians went so far as to pay callers to promote their campaigns during call-in sessions on radio and TV, he said. “Working in cahoots with unethical journalists, these callers are given a lot of airtime and they are often very extreme in their views,” the media analyst added. Meanwhile, a peace initiative called Tuvuke, Swahili for “Let’s Cross Over”, has been trying to educate the media on its role in the elections since 2012. 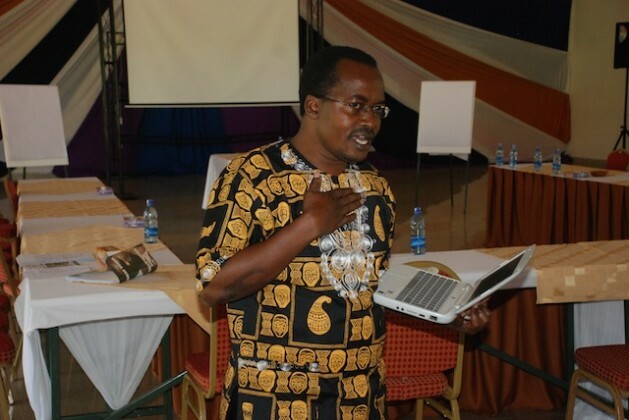 Hundreds of journalists, particularly in regions that experienced violence following the 2007 election, have since undergone training on how to remain objective and impartial throughout the electioneering period, Odhiambo Orlale, a media expert with Tuvuke, said. But even the country’s top politicians and contenders for the presidential post have been involved in hateful and bitter exchanges. The emotive issues of land ownership and pending cases at the ICC have also been brought up. The country’s current vice-prime minister, and strong presidential candidate, Uhuru Kenyatta, is due to stand trial in the ICC for crimes against humanity and his contribution to the 2007/8 post-election violence – he is alleged to have funded retaliatory attacks. His running mate, William Ruto, also faces similar charges at the court. Odinga, a front-runner in the race for the presidency, has used this to discredit his opponents and his emotive political campaigns have been widely covered by the media here. “With the issue of land being such an emotive one in this country, these remarks can only flair tension,” Mukami said. Ibrahim Oruko, a parliamentary reporter with the local Star newspaper told IPS that objective reporting was necessary in a country where politicians mobilise along ethnic lines. “We are facing a serious challenge for we still see ourselves as Luo’s or Luhya’s first, prejudices that we take to political rallies and they influence how we tell stories,” he said. The Media Council of Kenya, the media regulatory body, which has released guidelines on election reporting, said that cases of biased media reporting have been filed with the council. In an environment where journalists have come under fire for perceived exaggerated reporting and distortion of facts, the role of journalists in peace building is also under scrutiny. “We can only keep that peace by remaining blind to ethnic prejudices, social class and political affiliations,” Oruko said.